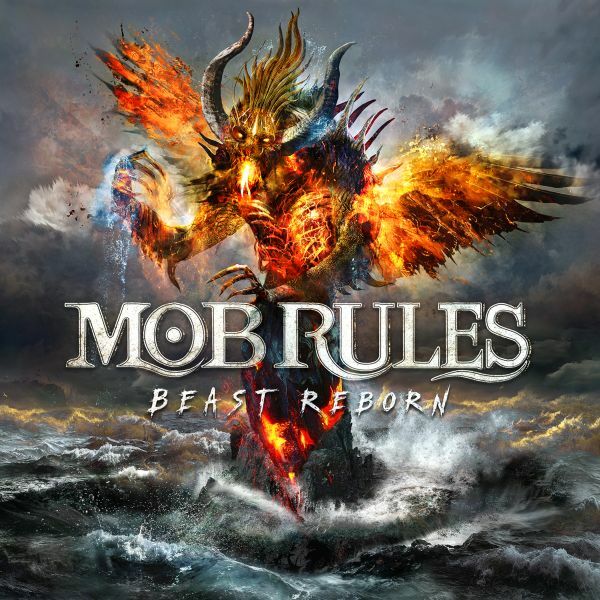 MOB RULES - BEAST REBORN | Releases | Wizard LTD. Energetic, massive, focussed – that’s how Mob Rules appear on their new album. The success of their previous album “Tales from Beyond” was the impetus being used by the six rockers to bundle their energies and produce this new and very straightforward album. With dense sound, straightforward songs and the familiar big melodies, Mob Rules go directly to the listener’s ears. Rough and fast-paced they move across the roots of metal, to haunting, modern compositions, which makes their sound more fresh and up-to-date than ever. New band member Sönke Janssen also has a hand in this: Being the new second guitarist he expands and completes Mob Rules’ sound spectrum. Not only within the band things are moving, they also get input from outside: Jens Bogren took over mastering. He works with great artists like KREATOR and AMORPHIS at his “Fascination Street Studios” in Sweden. Bogren is a real guarantor for a punchy sound. Sebastian “Seeb” Levermann (ORDEN OGAN) is responsible for most of the choirs and yet again accountable for the mix of the album is Markus Teske.